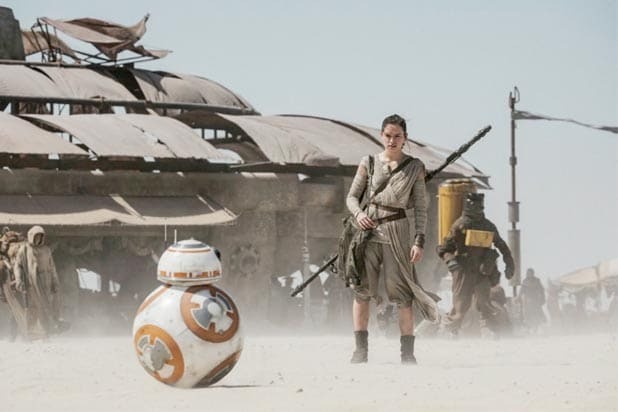 “Mad Max: Fury Road,” “The Martian,” “The Revenant,” “Sicario” and “Star Wars: The Force Awakens” have been nominated as the best edited dramatic films of 2015, the American Cinema Editors announced on Monday morning. 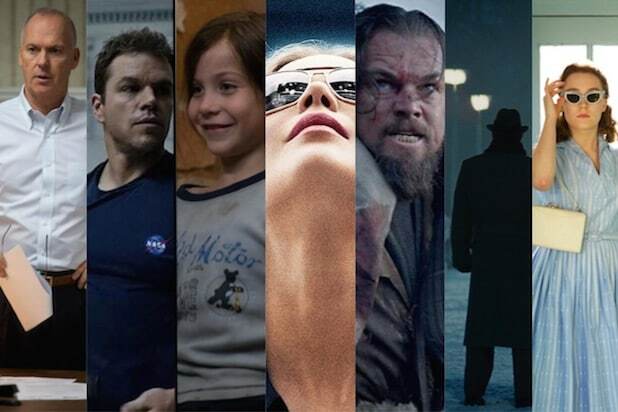 The nominations for the ACE Eddie Awards focused on action-oriented films and left out such presumed Oscar contenders as “Spotlight,” “Steve Jobs” and “Bridge of Spies.” The omission was particularly significant for presumed Oscar frontrunner “Spotlight,” since an editing nomination is considered one of the keys to a Best Picture victory, and more than 80 percent of Oscar editing nominees are first nominated at the ACE Eddies. “Better Call Saul” landed two of the five nominations in the one-hour commercial television category, while “Game of Thrones” did the same in the one-hour non-commercial category. Most years, the Oscar nominees are drawn predominantly from the ACE Eddies’ Drama category. Final ballots will be mailed to members of the American Cinema Editors on Jan. 8, with voting ending on Jan. 20. The 66th Annual ACE Eddie Awards will take place on Jan. 29 at the Beverly Hilton Hotel. "Spotlight" A contender for Best Picture, director and screenplay -- as well as the supporting acting categories. "The Martian" Ridley Scott may have his best shot at an Oscar with this sci-fi drama, which is also a contender for Best Picture. Matt Damon is in the hunt for Best Actor as well. "Carol" Todd Haynes' period romance is getting lots of buzz for major categories, particularly for stars Cate Blanchett and Rooney Mara. "Room" Brie Larson is a favorite in the Best Actress race, and there's chatter for co-stars Jacob Tremblay and Joan Allen. "Joy" David O. Russell movies are consistent awards bait, and Jennifer Lawrence is poised to earn her third consecutive nomination. "The Revenant" Alejandro G. Inarritu's dark revenge tale is getting lots of awards traction, particularly for Leonardo DiCaprio's performance. "Brooklyn" Saoirse Ronan is a strong contender for Best Actress, and there's much love for John Crowley's old-fashioned period drama. "Straight Outta Compton" F. Gary Gray's biopic of the rap group N.W.A boasts some of the best reviews of the year, including raves for newcomer Jason Mitchell as Eazy-E.
"Mad Max: Fury Road" The National Board of Review winner for Best Picture is a long-shot outside of technical categories, but it could surprise in the picture, directing or actress categories. "Steve Jobs" Aaron Sorkin is a likely nominee for his adapted screenplay, and Michael Fassbender is a strong contender for Best Actor. "Suffragette" Carey Mulligan is in the hunt for Best Actress for her role in this historical drama about the battle for British women to get the vote. "Inside Out" Pixar's hit could become the first animated movie to earn a Best Picture nod since 2011's "Toy Story 3." "The Danish Girl" Eddie Redmayne and Alicia Vikander are getting major buzz for their performances in a period drama with a topical transgender twist. "Beasts of No Nation" Cary Joji Fukunaga's gritty drama about African child soldiers has drawn raves, but most overcome its limited theatrical release by Netflix. "Son of Saul" The Hungarian Holocaust drama is a frontrunner in the foreign-language film race but could also score nods in other categories. "The Hateful Eight" Quentin Tarantino's Western is getting the usual Oscar talk, particularly for his screenplay and supporting actress Jennifer Jason Leigh. "Concussion" Will Smith has won early acclaim for his performance as the doctor who discovered CTE, the brain injury experienced by so many former NFL players. "The Big Short" Adam McKay's fact-based comic drama boasts a starry cast and major topicality, boosting its awards profile. "Creed" Ryan Coogler's reboot of the "Rocky" franchise has drawn raves, and Sylvester Stallone's supporting turn as boxer-turned-coach could earn him a supporting actor nod. "Youth" Michael Caine, Harvey Keitel and Jane Fonda are all in the mix in acting categories for Paolo Sorrentino's indie. "Trumbo" Jay Roach's biopic of the blacklisted Hollywood screenwriter is drawing attention for the performances of Bryan Cranston as well as Helen Mirren as gossip columnist Hedda Hopper. "99 Homes" Michael Shannon and Andrew Garfield are generating talk for their performance in the Ramin Bahrani- directed drama. "Anomalisa" Charlie Kaufman's stop-motion animated film could pull off a surprise in the Animated Feature category. "Mr. Holmes" Ian McKellen is angling for his third Oscar nomination for playing an aging Sherlock Holmes in Bill Condon's movie. "45 Years" Veteran actress Charlotte Rampling could score her first nomination for playing half of a couple preparing for their 45th wedding anniversary. "Grandma" As an acerbic woman helping her granddaughter as she faced an unplanned pregnancy, Lily Tomlin could score her first nomination since 1975's "Nashville." "Love & Mercy" Paul Dano and John Cusack have both won acclaim for playing the younger and older versions of troubled Beach Boys leader Brian Wilson.